CLS roofing is a family run business, providing expert roofing services for industrial, commercial and domestic customers. 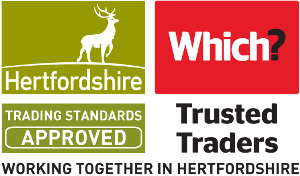 Based in Bishops Stortford we operate in Hertfodshire, Essex and the Home Counties. Our team of trained craftsmen ensure the highest quality and workmanship in all the services we offer. We are members of the National Federation of Roofing Contractors (NFRC) and we specialise in all areas of roof works. We also provide a full service from Installation to Maintenance and Repairs, including Roof and Gutter maintenance which can give significant savings over the long term. In Emergencies we can be on hand to make sure your roof is watertight as quickly as possible. The combination of experience, quality, competitive pricing and safety offered by CLS Roofing is the reason customers have used and continue to use our services. We are so pleased with the work completed by Cory, the roof looks fantastic. This company is extremely tidy and great communication throughout the works. We need to replace our existing roof on the main house and we will certainly be using this company and recommending. They were polite and explained what they would be doing. As it was a flat roof replacement this was not put to the test until this recent bad weather, however all is well so I feel confident that they have done a good job. Cory did an excellent job, supplying and fitting new soffits ,fascia and guttering. He provided a friendly and helpful service throughout, and would recommend him. Very, very helpful, friendly and polite. Very clean workers. Although the weather was against him he completed the work on time and even went the extra mile by doing something free of charge I had not asked for because in his opinion (and mine) it finished the job off nicely. 10 out of 10 for Cory and Chris. I will not hesitate to recommend him and I will be using him again for other jobs I need to have done. I could not be happier with my new flat roof. Second time we have used this company. Both times arrived prompt & worked carried out to high standard. Courteous & likeable approach in what they do. Highly recommend. Always turned up on time. Polite, tidy and informative through out, showing each stage of flat roofing till complete. Very professional service - always turned up on time, and kept me informed of what was going on. Job was replacing a felted flat roof which was leaking and rotten underneath with a glass fibre flat roof. A messy job but they kept disruption to a minimum and tidied up after themselves pretty well. As they were unable to do the job for a few weeks after I accepted their quote, Cory was happy to temporarily patch the leaks in the roof to stop any more water getting in for no extra charge. Being able to self-certify for part L was also very handy - other firm who quoted for the job didn't even mention part L. Also liked that quotes/invoices etc was all done by email - nice and quick. Corry and his team did an excellent job re-tiling and renewing the membrane of our small utility roof. It had been leaking and we had one quote at double Corry's price. He also replaced some roof tiles on our main roof, which was not an easy task. Corry was very good to deal with and we would happily both recommend and use his company again. CLS Roofing carried out an excellent job within the predicted timescales.